I blogged about how to use FontAwesome in WPF last year and wrote a short blogpost about the nice FontIcon class in UWP. With the help of the FontIcon class I could include the FontAwesome glyphs, but working with the unicodes is not very dev friendly. 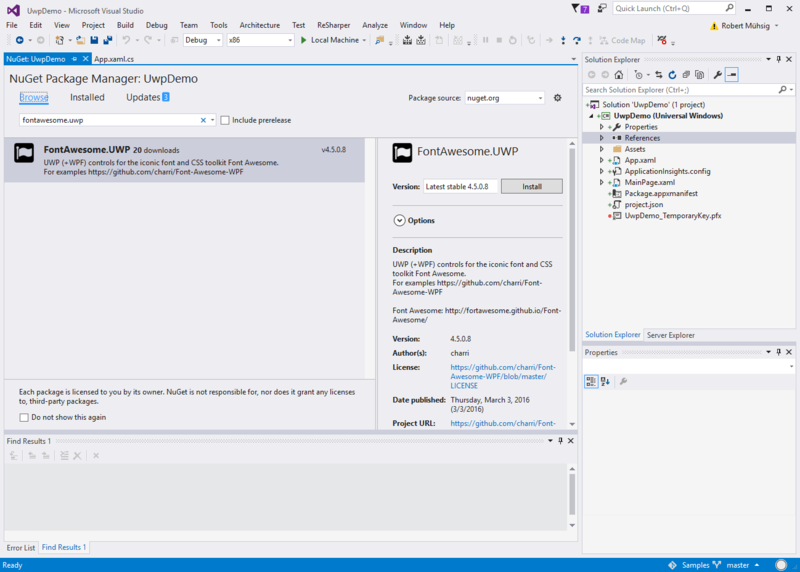 Bringing FontAwesome.WPF to the UWP universe - OSS rocks! 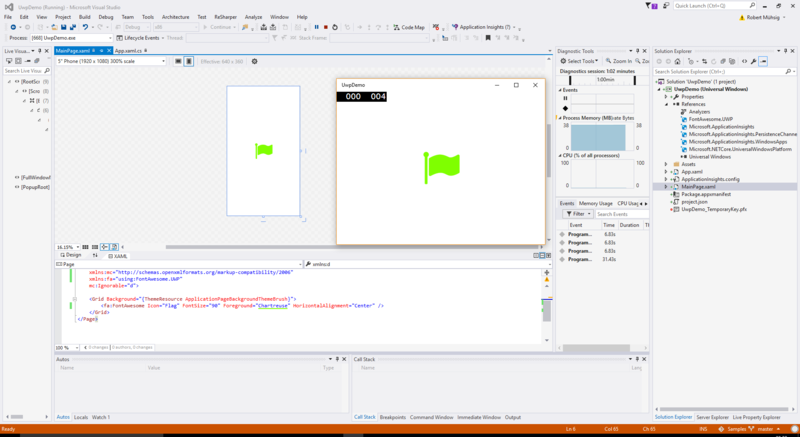 The goal was pretty clear: I would like to have the excellent FontAwesome.WPF NuGet package working on UWP. So I created an issue on the FontAwesome.WPF GitHub repo and some contributions later the FontAwesome.UWP NuGet package was born. As you might imaging - the usage is now pretty easy after including the FontAwesome.UWP NuGet package. Pretty nice and it was a good collaboration - big thanks to Thomas Charriere, who is the maintainer behind the project.